This frock was made for a very special occasion. The stylistic features are early mid-century, but I suspect that it was made in the 1960’s or 1970’s. Makes me curious . . . . . .
It’s a war-time/rockabilly/musical performance recital/costume frock that could have almost any of those histories. It’s a bit over-the-top for cocktails. I’m guessing that it was made for someone who was going to a dance or about to sing an aria or perform a concert on the cello. Whatever! . . . . . . . . . . it’s a fun mystery dress in one of my favorite colors. 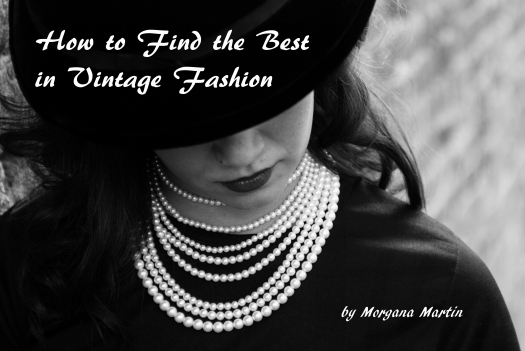 If it weren’t for the bones in the bodice (awkward packing issue), I’d add it to my selection of disguises . . . . . . . . . . . . . . . . . .
Posted on April 18, 2017 by Morgana Martin, the magicvintagespy. This entry was posted in '70's, blogger, buy, buying, classic, classic clothing, clothing, cocktail dress, costume, custom-made, dance, dress, dressy, elegance, elegant, evening, fashion, film noir, find, fitted, frock, guidebook, hand-made, hand-tailored, handmade, home-sewn, homemade, how to, ladies, Mad Men, magicvintagespy, mid-century, photos, Post-war, references, retro, rockabilly, shopping, special occasion, store, stores, taffeta, true vintage, Uncategorized, vintage, vintage blogger, vintage clothing, vintage expert, war-time, WARTIME, women's and tagged '40's, '50's, '60's, '70's, 1940's, 1950's, 1960's, 1970's, ´50´s, ´60´s, ´70´s, blogger, buy, buying, classic, classic clothing, clothing, cocktail dress, costume, custom-made, custom-tailored, dance, dress, dressy, elegance, elegant, evening, fashion, Fifties, film noir, find, fitted, Forties, frock, guidebook, hand-made, hand-tailored, handmade, home-sewn, homemade, how to, ladies, ladies', Mad Men, magicvintagespy, Magicvintagespy.com, mid-century, photos, Post-war, references, retro, rockabilly, Seventies, shopping, shopping tips, shopping-tips, Sixties, special occasion, store, stores, taffeta, true vintage, Uncategorized, vintage, vintage blogger, vintage clothing, vintage expert, war-time, WARTIME, women's. Bookmark the permalink. ← RECENT FIND – VERY CUTE LITTLE 1950’S SUNDRESS. GREASE!! Oh yesI remember the feel of taffeta I had a red one a lot like that. Wow, that’s great. Do you remember the year?